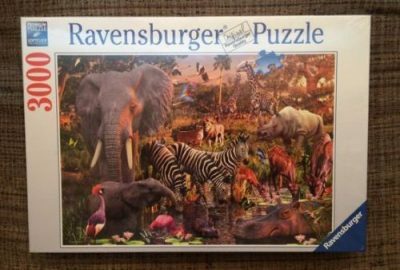 This is one the most iconic puzzles by Ravensburger. 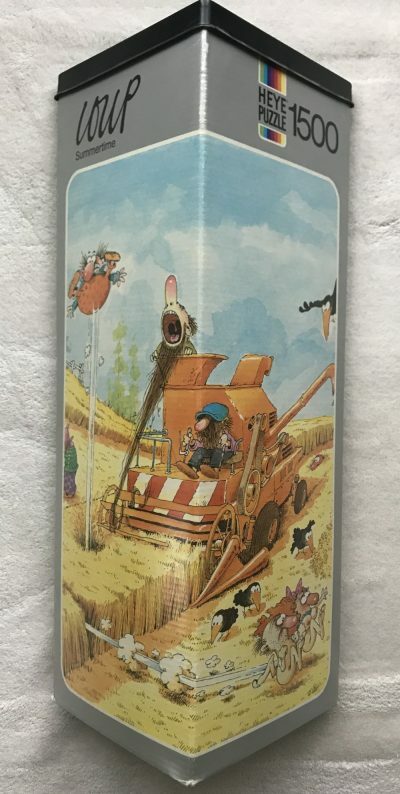 It is in the top places of most big jigsaw puzzle enthusiasts’ wish lists. Perhaps that is the reason why it is extraordinarily rare and difficult to find. The complete title in the box is The Royal Castles Neuschwanstein and Hohenschwangau, although everybody knows it as Neuschwanstein Castle. Its construction was commissioned by Ludwig II of Bavaria. 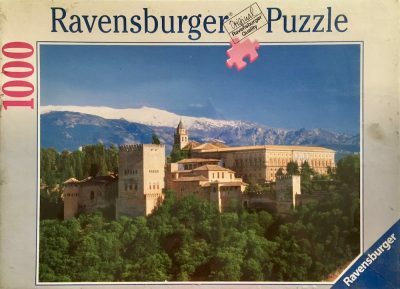 Most jigsaw puzzle companies have used a photograph of the Neuschwanstein Castle to manufacture puzzles in all sizes. It seems, in fact, difficult to find a puzzle fan that doesn’t have at least one version. 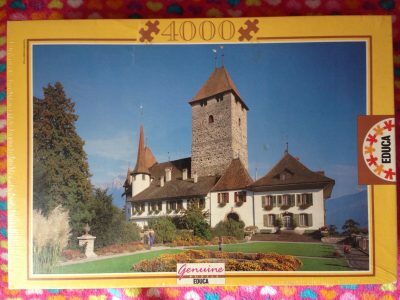 This 12000 pieces version by Ravensburger, with a photograph by Bildarchiv Kinkelin, is the largest one. Ravensburger manufactured it in 1985. The puzzle like NEW, with all the pieces SEALED inside the original plastic bag. The poster is in very good condition. However, the lid of the box and some parts of the sides are not in very good condition due to tape marks, as you can see in the photographs. The pieces come in the 4 bags. 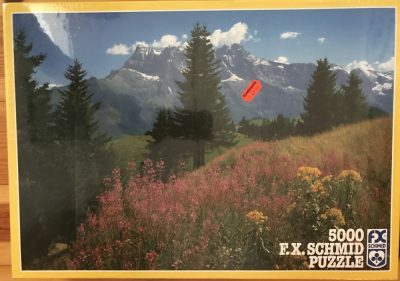 That means that it is possible to assemble each section of the puzzle separately, which makes the process much easier in case you don’t have such large space. One of the problems with large puzzles is the fact that many people don’t have a lot of space in their homes for such endeavor. 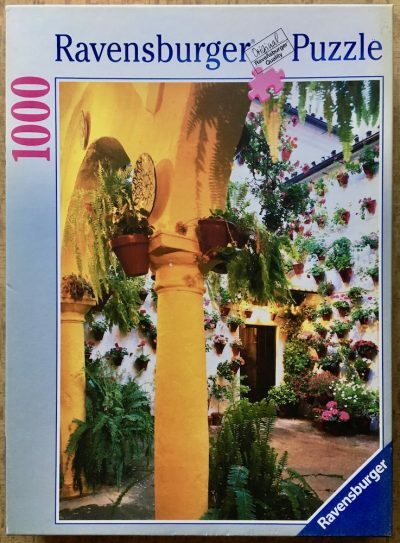 They simply cannot occupy a large room during the time that a 12000 pieces puzzle would require, which is usually a very long time. However, it is much simpler to assemble 4 consecutive puzzles of 3000 pieces. After that, it is easy to just put together the four sections, see the effect, and then frame the puzzle or store it.